This past summer, I took a weeklong music class with Charles Williams. It was called "Finding your Voice" and was designed to help beginners sing in public for the first time. Williams had a long career as an opera singer and now teaches voice in Washington, D.C. I played the song "Quimbara" for him, and his own voice lit up: "Oh, Celia Cruz, from Cuba, yes. My God, what a goddess." He admired the projection she achieved, the carrying power, keeping "the tone in the bone" right from the cheekbones. Williams could also hear the grounding of her voice in her body. "So there's warmth," he said. "You've got the right combination of coffee and milk, a dark/light sound." Cruz was Havana-born and grew up in the neighborhoods where music was always in the air. She traveled for 15 years as a young singer with the Sonora Matancera orchestra. Cruz was out of the country at the time of the Cuban Revolution and chose not to return. She settled in Fort Lee, N.J., home base for a decades-long career and a 41-year marriage to Pedro Knight, who had been her trumpet player. In the early '70s, she recorded "Quimbara," a vibrant, pulsating tongue twister that took her instantly to the top of the salsa world. It was the first time she'd worked in multitrack. Recording engineer Jon Fausty put congas on one track, timbales, trumpets and piano on others. Cruz sang with the headphone mix. "She didn't have to get it right the first time," Fausty says. "She could redo a part if she wasn't satisfied, without having the band to have to play it over again." Carmen Rivera and her husband, Candido Tirado, researched her career for their off-Broadway musical Celia: The Life and Music of Celia Cruz. They were especially moved by a Telemundo tribute, filmed just before she passed away. "When she came out for a bow, she looked lovely," Rivera says. "She was all in silver with a silver wig, and she can rock a silver wig, looking elegant and beautiful. Her husband is watching her, and he's crying and there's so much love in his eyes and so much pain, because she was already very ill. And we said, that's the story -- those eyes, that's the story." When Cruz died in 2003, her casket was flown to Miami so her fans could say farewell, and 200,000 people turned out. 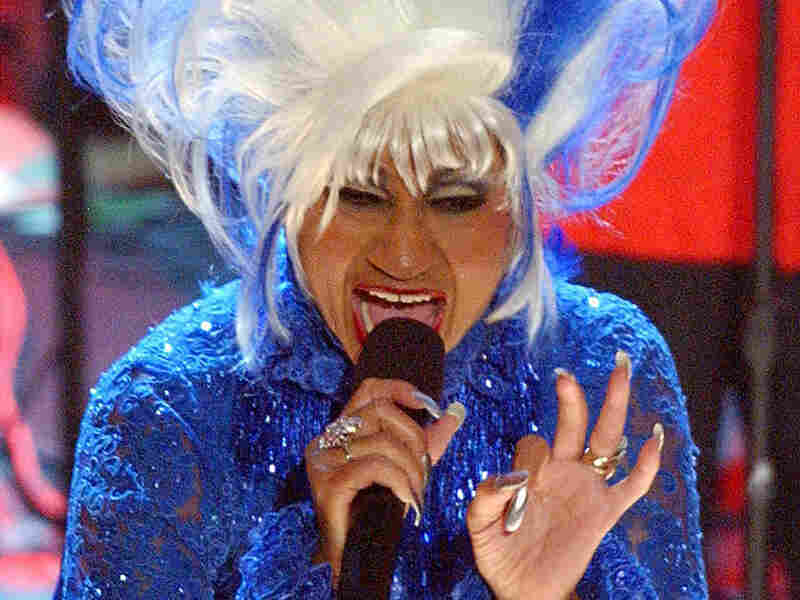 In her music, Cruz had often expressed the sentiments of the Cuban-American community. In one of her early songs from exile, she sang: "I send to Cuba my voice, from this distant beach."